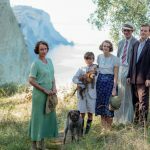 The Durrells will return for a second series, actress Keeley Hawes confirmed during her recent appearance on The Graham Norton Show. 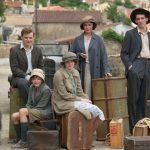 The series, which premiered early this month on ITV in the UK and has been tapped for a U.S. broadcast on PBS’ Masterpiece series in early 2017, follows the exploits of the Durrell family during their four-year stay in Corfu in the 1930s. 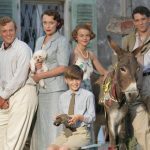 Based on environmentalist/author Gerald Durrell’s classic trilogy of Corfu memoirs, including the much loved story ‘My Family and Other Animals’, filming of the second series of The Durrells is set to begin on the Greek island of Corfu this summer. It’s a tough job but someone’s got to do it, I guess. As a reminder to those that haven’t had the good fortune to see The Durrells as of yet, this was one of the highlight series screened during our time at this years BBC Showcase in Liverpool. Starring Keeley Hawes (Spooks, Ashes to Ashes, Line of Duty) and written by Men Behaving Badly creator, Simon Nye, the story focuses upon Louisa Durrell (Hawes) whose life is in meltdown. Widowed years ago and running out of money, Louise has four unruly ‘children’ to look after: Larry, Leslie, Margo and Gerry, all going off the rails in their own special way. At this point, there are tentative plans for a January 2017 broadcast on PBS as a lead-in to the premiere of the much-awaited ‘new Downton Abbey’ of Victoria, starring Jenna Coleman, which will air in the DA timeslot beginning in late January 2017. It will definitely be a much more gentile viewing option from a family standpoint for those that are deeply entrenched in the lives of the residents of Nonnatus House on Call the Midwife. This is definite, put-on-the-calendar viewing for early 2017 on PBS.